The Movie Poster Collection at the Harry Ransom Center encompasses over 10,000 posters and spans from when the film industry was just beginning to compete with vaudeville acts in the 1920s to the rise of the modern megaplex and drive-in theaters in the 1970s. The sizes range from that of a small window card to that of a billboard. 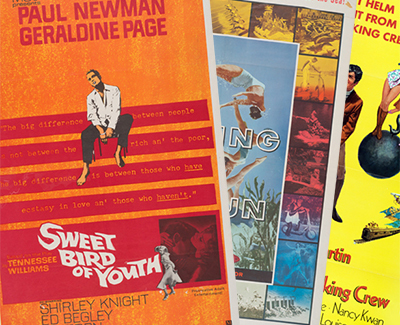 The movie posters collection is currently part of an ambitious digitisation project. Each of the 10,000 posters is being photographed, with the resulting image linked to searchable metadata, and the image made available to download. Delta robots are deployed in many industrial processes, including pick-and-place assemblies, machining, welding and food packaging. Starting with the first version developed in the 1980s by Reymond Clavel to place chocolate pralines in their packages, Delta robots use three individually controlled and lightweight arms that guide a platform to move fast and accurately in three directions. Over time, roboticists have designed smaller and smaller Delta robots, but shrinking them to the millimeter scale has proven fruitless. 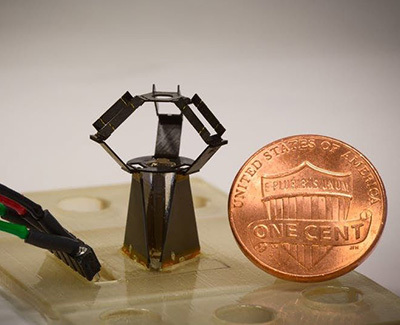 A new design, the milliDelta robot, developed by Robert Wood’s team at Harvard’s Wyss Institute for Biologically Inspired Engineering and John A. Paulson School of Engineering and Applied Sciences (SEAS) overcomes this miniaturisation challenge. In 2011, inspired by pop-up books and origami, Wood’s team developed a micro-fabrication approach that enables the assembly of robots from flat sheets of composite materials. Pop-up MEMS (short for 'microelectromechanical systems') manufacturing has since been used for the construction of dynamic centimetre-scale machines that can walk, or, as in the case of the RoboBee, can fly. In their new study, the researchers applied their approach to develop a Delta robot measuring 15 x 15 x 20mm. Putting the milliDelta’s potential for micromanipulations to a first test, the researchers explored their robot as a hand tremor-cancelling device. “We first mapped the paths that the tip of a toothpick circumscribed when held by an individual, computed those, and fed them into the milliDelta robot, which was able to match and cancel them out,” said co-first author Fatma Zeynep Temel. The researchers think that specialised milliDelta robots could either be added on to existing robotic devices, or be developed as standalone devices, for example, platforms for the manipulation of cells in research and clinical laboratories. 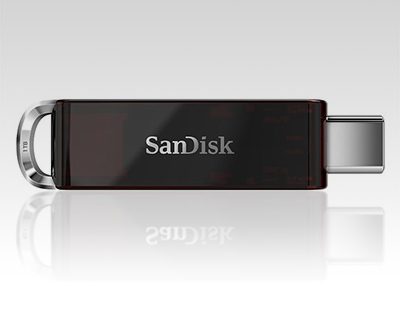 Western Digital has introduced what it claims to be the world's smallest 1TB USB-C flash drive. No release date or price available. 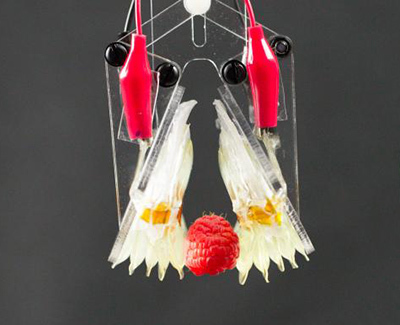 Scientists have created nimble robotic muscles as strong as an elephant and as bendy as an octopus. These soft but powerful new artificial muscles can sense their own movements and self-heal from electrical damage. What’s more, they cost only 10 cents to make. The University of Colorado Boulder team filled elastic pouches with vegetable oil and hydrogel electrodes. When electricity is applied, the oil around the electrodes spasms. This pulls on the electrodes, making the whole artificial muscle contract and release in milliseconds. These movements can beat the speed of human muscle reactions. The team calls the flexible muscles “Hydraulically-amplified Self-healing Electrostatic” actuators, or HASEL actuators. Using a layer of insulating liquid also allows the muscles to heal from electrical damage. This gives them an advantage over other “soft robotic” actuators that have a solid insulating layer. Just like human muscles, the actuators can sense environmental input. The electrical components create a kind of capacitor that stores potential energy according to the stretch of the actuator. This can be measured to figure out the strain of the muscle. While the super-strength muscles can be stronger, faster and more flexible than our own, they are not perfect. At present, the powerful muscles are held back by their thirst for electricity. Acome explains: "The high voltage required for operation is a challenge for moving forward. However, we are already working on solving that problem and have designed devices in the lab that operate with a fifth of the voltage used in this paper." – Feels great in the hand compared to the 6s Plus, it seems smaller and lighter than the 14g and removal of top/bottom bezels would suggest. – Face ID works as advertised, reliable and 'tap screen and swipe up from bottom edge to wake' is more elegant than clicking a home button. – It is SO fast. Everything happens in real time, something you forget about until you use an older phone. – The screen is beautiful, colours are subtle and yet clearly visible in bright light. Again, you notice it when you use another phone, when the colours look garish in comparison. It also seems to shrug off dirt and grease more effectively. – The camera is excellent, and the 'artificial bokeh/studio effects' are useful for snap shots. When used with Adobe Lightroom (using RAW images) the results are incrementally better than the images from the 6s Plus. 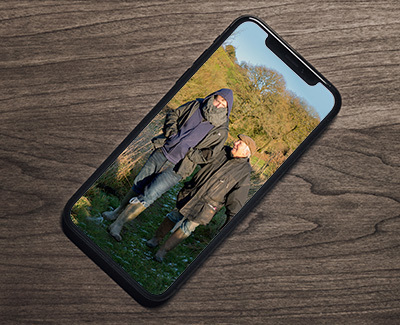 – The £1,000 cost is often criticised, but as an item that I use regularly, 365 days a year for a vast range of tasks, and given that most of my iPhones have lasted between 2 and 3 years between upgrades and still have a saleable value, the approx. £1 per day it is costing me seems very reasonable. – Wireless charging is one of those things you start out thinking 'Why do i need this? ', and quickly move to 'Using wires to charge stuff is such a pain'. – I know it is new, but the battery life is better than any previous iPhone I've used. – The built-in speakers' sound quality has been significantly improved.